What just happened? 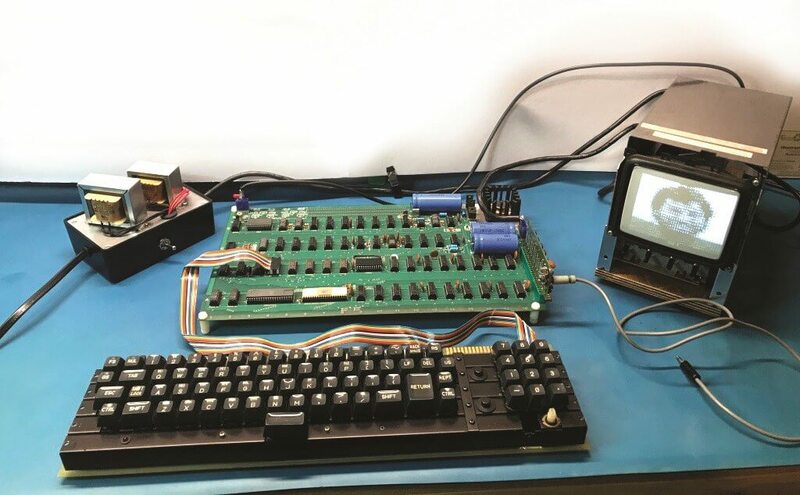 A working Apple I computer has just sold at auction. When it originally went on sale back in 1976, the machine sold for $666.66. Yesterday, it was bought with a winning bid of $375,000. The original buyer of this particular Apple I sold the machine a year after purchasing it for just $300. The owner who put it up for auction said he tried to sell it back to Apple co-founder Steve Wozniak in 1982 for $10,000 but received no response. He had used the machine to learn BASIC and ultimately decided to keep the device because it "could one day be a piece of computing history." Steve Jobs and Wozniak built 200 Apple I computers in the mid-1970s and sold them through a deal with local computing store The Byte Shop in Palo Alto, California. It’s estimated that just 79 are still in existence today, and only about 15 of those are still working. "The Apple-I was ghastly underpowered compared to the Apple-II,” Wozniak told the BBC. "But this Apple-I computer showed the world the formula for an affordable USEFUL computer." An “anonymous businessman” purchased the Apple I, which was auctioned off by RR Auction at WeWorks in Boston, Massachusetts, on Tuesday. "Steve Jobs and Steve Wozniak and the company that they created together turned the ugly and unappealing world of technology and made it much more user friendly— bringing it mainstream, and infinitely making the world a better place to live," said Bobby Livingston, Executive VP at RR Auction. "This is the machine that launched Apple Computer, a company that would define an industry and was recently able to achieve a $1 trillion valuation milestone." Apple I expert Corey Cohen gave the unmodified system an 8.5 rating after it worked for eight hours without fault during testing. A different Apple I that had spent most of its life under a glass cover received a 9.5 score and sold for $905,000 in 2014 to the Henry Ford museum. Back in March, a one-page job application form filled out by Steve Jobs three years before he co-founded Apple brought $174,000 at auction. Jobs’ leather jacket sold for $22,400 in 2016, while a magazine he signed went for over $50,000 last year.